While Alicia Keys gave an inspirational speech in Washington. 18. 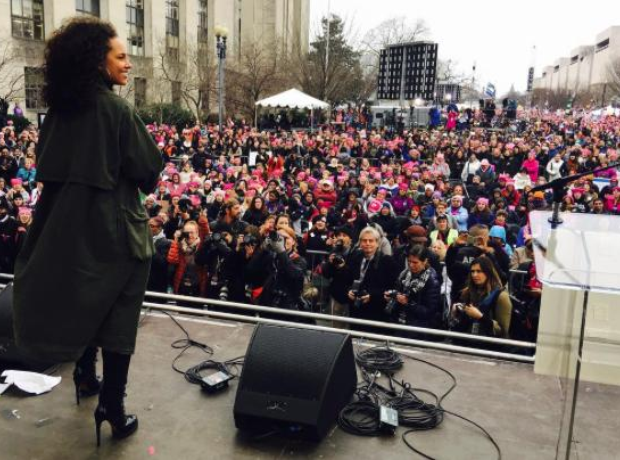 While Alicia Keys gave an inspirational speech in Washington.